Fashion icons don’t become icons for nothing. They manage to hold a high place in the fashion world’s collective memory (which can usually suffer from short-term memory) because of their enduring influence on style and even current trends. So, it’s only logical to heed and listen on what styling tips they have, right? With that said, here are some style tips from fashion’s greatest icons you can surely swear by. This first style advice comes from the exquisite Jackie Onassis Kennedy herself. The former US first lady became a style icon with her signature sheath dresses and unmatchable grace during the 1960s. She is said to have bought similar pieces of clothing in multiples if they are flattering and well-fitting. This technique is also great for communicating a signature style through the repetition of similar pieces. And of course, it also made getting dressed easier as well. You can still give each look a different vibe by accessorizing with jewelry, bags, shoes and hats. 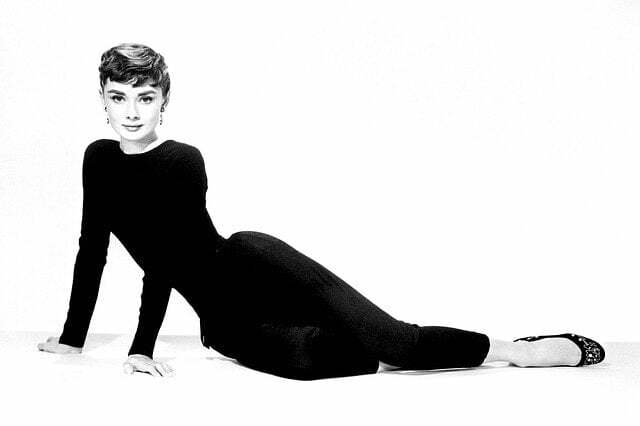 Audrey Hepburn will forever be remembered as a Hollywood style icon due to her simple yet effortlessly elegant style. She is perhaps most associated with the popularity of the little black dress which has become a staple piece for every woman since. Another popular look of Hepburn’s which embodied her less is more mantra is her trio of a black turtleneck, ballet flats and cropped trousers. This look is often dubbed as her ‘uniform’ as it was Hepburn’s go-to look for casual days until her death. 3. Be proud of your assets. Marilyn Monroe was all about embracing a woman’s assets. And she led by example as she often showcased her famous tiny waist and voluptuous figure with body-hugging outfits. The first step to showcasing your own is first to determine what works and looks good on your body and begin from there. Though she may not be as famous as the other women on this list, Rachel Zoe has proven her place in the fashion world by becoming one of the most sought-after celebrity stylist and fashion designer. Stemming from her fondness for designer clothes, she advices women to invest in high-quality clothes instead of trendy but cheap pieces. This will definitely ensure that your wardrobe will remain intact and in style season after season and give you more bang for your buck. Fashion icons don’t become fashion icons by blending in the crowd. Take it from Bianca Jagger, former model and wife to another icon, albeit in rock and roll, Mick Jagger. Sure, Bianca Jagger’s good looks made it easier for her to be noticed but it was her bold style that cemented her name in fashion. She would cap each outfit with a variety of bold headwear like hats and turbans which made her stand out from a crowd of similarly dressed women in the 70s and 80s. Take these style tips to heart but feel free to tweak them to fit your current lifestyle and you’ll surely be turning heads with your impeccable looks in no time. Listen to Jackie O and buy clothes in multiples. Be sure they’re of good quality as Rachel Zoe advices. Invest in a timeless basics like Audrey Hepburn’s little black dress and don’t forget to stand out from the crowd while flaunting your assets like Bianca Jagger and Marilyn Monroe.